She was a lower caste woman who lived in the village of Gopavaram in Andhra Pradesh. The daughter of a potter, her horoscope had marked her for greatness. Her father was Kesana, a Lingayat potter in Gopavaram on the banks of Pennar in preset day Nellore district. decided not to marry her young so that she could peruse her ambition of becoming an educated woman. This woman is Atukuri Molla (1440-1530) and she outwitted Tenali Ramakrishna, the great poet and wit of Emperor Krishna Deva Raya of Vijayanagar. This is how the incident unfolded. Molla was sent to the village school from an young age and she also developed a habit of visiting the Shiva temple nearby. When she was twelve years of age, her father took her to Srikalahasti where an astrologer forecast that she would bring honor to the family. One day a poor old poet from Gopavaram visited Vijayanagar and came to the court of Krishna Deva Raya. The Telugu poet and one of the King’s favourite, Tenali Ramakrishna who was present in the court, challenged the poet to a contest. “I bet neither you nor anyone from your village can write a great work”, he said mocking at the poet. The poet went back to Gopavaram a deeply disappointed man. When Molla heard about the how Tenali Ramakrishna had mocked the poet and her village, her blood boiled. She was outraged at the presumption of people that nobody cold produce a great work. She then sent out a challenge, saying that she would compose a great work in just five days. She said the great work would be the Ramayana, which would be written in a novel manner. When news of the challenge reached Tenali Ramakrishna, he laughed loudly and sarcastically remarked how a potter's daughter could have such a big ego. Molla then began thinking of ways and means to pen the Ramayana, The idea of writing it came to her when she was drying her hair after taking bath. She sat in the Shiva Temple that she so frequently visited during her childhood and began composing the Ramayana in Telugu. She finished her Ramayana in five day, thus showing people and Tenali Ramakrishna that anything could be achieved if one were to be sincere, honest and dedicated. We do not know what was Tenali Ramakrishna’s reaction after Molla completed the work. However, what is known for sure is that the work soon became the talk of the Vijayanagar Kingdom. Since then, it has been inspiring generations of people. Molla Ramayana has 138 stanzas and six chapters. It uses the minimum number of Sanskrit words and is mostly in colloquial Telugu. The people took to it like duck to a water. It became a favourite of teachers who asked their students to study it, while grammarians pointed to it for its correct use of words. Puppeteers used the work to tell the tale of the Ramayana, while singer-saints of Telugu provinces sang it to make people aware of the Ramayana. As her popularity spread, she was invited to Royal court and got an opportunity to recite Ramayana in front of Krishna Deva Raya and his poets, including Tenali Ramakrishna. 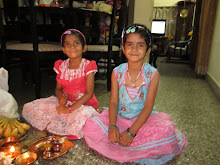 She spent her last years at Srisailam in the temple of Srikantha Malleswara. She is the second female Telugu poet of note, after Tallapaka Timmakka, wife of Annamacharya. The Molla Ramayana today has its own place in Telugu literature. It not only bested the best wit of the Vijayanagar Kingdom but also captured the imagination of the people by its simple and lucid style. She did not dedicate her work to any Emperor as was the practice in those days. She dedicated it to Rama himself. Deccan rulers, Molla sought the intervention of Vishnu. Vishnu told her that though Vijayanagar would not survive, her Ramayana would.